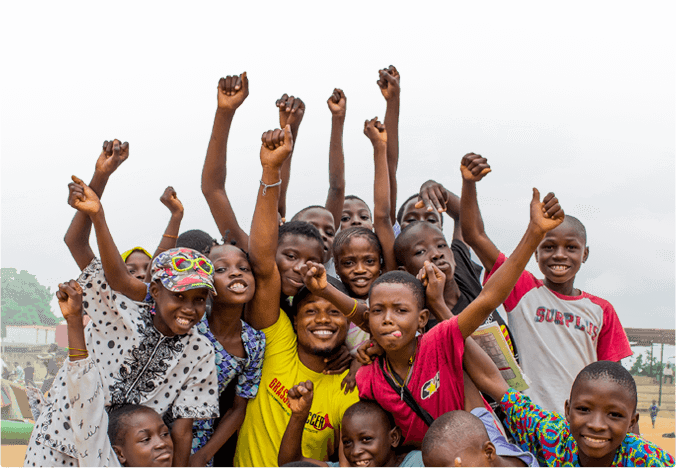 Youth Empowerment and Development Initiative (YEDI) is a Nigerian-run NGO that empowers, educates, and inspires youth and communities using proven models or ideas modified for the Nigerian context. YEDI was founded in 2011 to pilot the West Africa Grassroot Soccer model. The pilot was an immediate success and since then, over 100,000 young people have benefited from it. 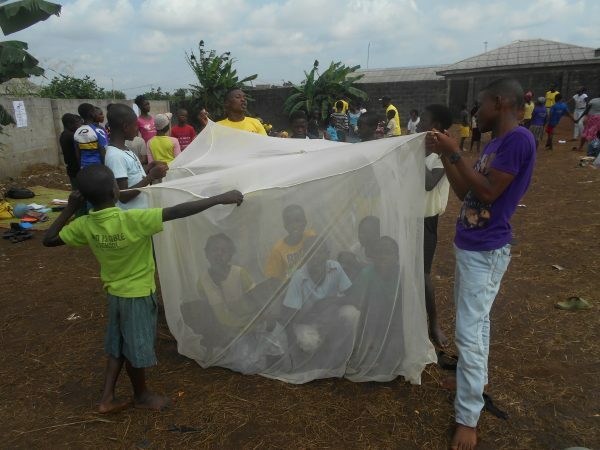 YEDI published this photo essay in honor of World Malaria Day in April. 1. A child dies of malaria every one to two minutes according to global statistics. Most are in Africa. 15 percent of all malaria cases on the continent occur in Nigeria with a huge cost in lives, spending and days lost at work or school. 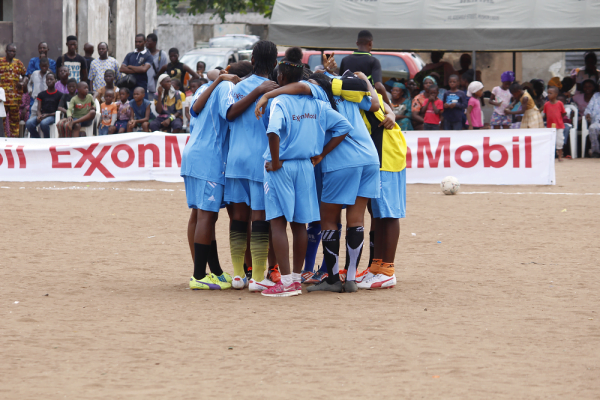 Awareness and health education intervention on knowledge, attitude, and prevention practices amongst young people in at-risk communities have become an essential part of YEDI’s ExxonMobil-funded Grassroot Soccer program. 2. According to the Nigerian National Malaria Strategic Plan 2014-2020, malaria is responsible for 60 percent of outpatient visits to health facilities, 30 percent of childhood deaths, 25 percent of deaths in children under one year, and 11 percent of maternal deaths. 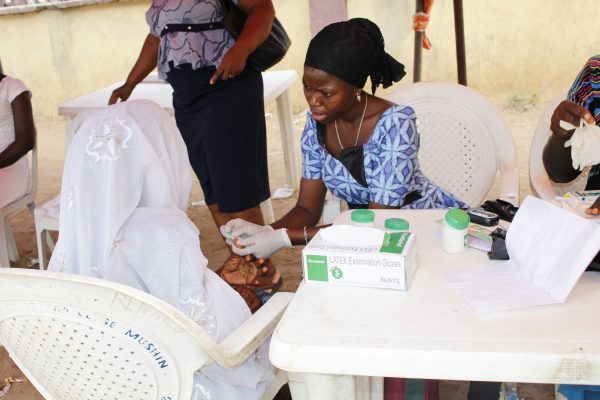 During YEDI’s Malaria Testing Tournaments in commemoration of World Malaria Day, priority attention is given to pregnant women, nursing mothers and young people in terms of access to medical attention and distribution of free LLINs. 3. 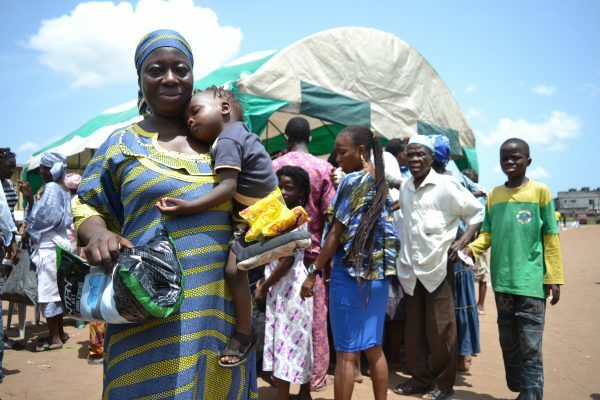 A report published in the Nigerian Medical Journal indicates that malaria control can be significantly improved in grassroots communities, if the caregivers are adequately empowered through persistent and appropriate health education intervention through changes in attitude and belief. 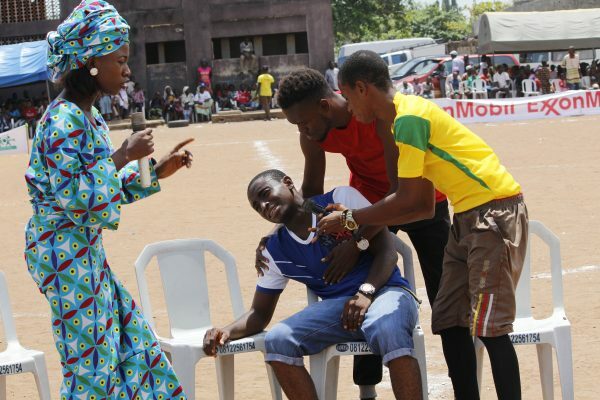 During the 2017 World Malaria Day, YEDI carried out a community-wide awareness program in Mushin area of Lagos with over 1,300 community members present with a slew of activities including malaria drama. 4. In western Nigeria, 600 teachers and secondary school students were sampled to assess the perception and management of malaria. Although 89% mentioned mosquitoes as the causative agent, others ascribed it to hot sun, bad weather, cold weather and the rain. 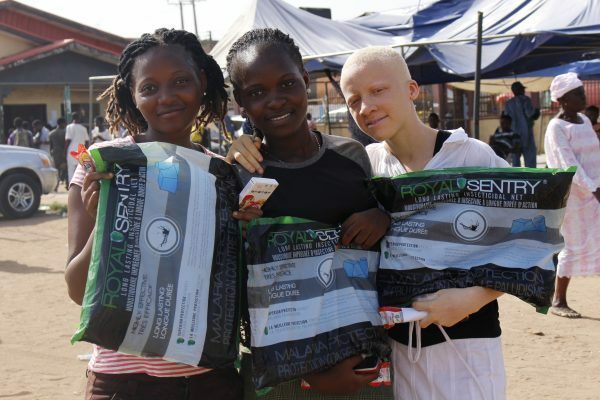 Yusuf Haleemat, a JSS1 student at a school in Lagos used to think malaria could be caused by drinking dirty water until YEDI’s Peer Educators carried out a SKILLZ intervention in the school. 5. It has been recognized that sport has the power to promote development and peace. It has been proven that the systematic and coherent use of sport can make an important contribution to public health, universal education, gender equality, poverty reduction, prevention of diseases, etc. 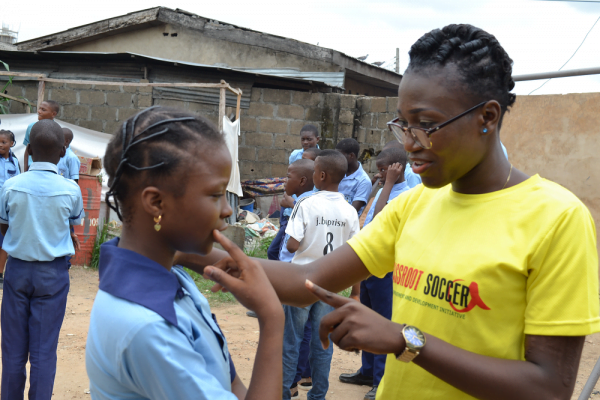 On April 29, YEDI organized a “Kick Against Malaria” football tournament using the Grassroot Soccer Sport-for-development program, to mobilize and raise awareness about Malaria in Mushin, a suburb of Lagos, Nigeria. 6. Long-lasting insecticidal Nets (LLINs) are an effective method of malaria control but several studies have shown that school-age children use LLINs less frequently than other population groups. YEDI has developed age-relevant curricula (Basic SKILLZ and Advanced SKILLZ), to teach young people how to prevent malaria, including the importance of using LLIN. 7. For Nigeria to be free from malaria like some other developed countries, experts have advised that we must do what those nations have done–clean environment, better infrastructures and a habit of cleanliness. 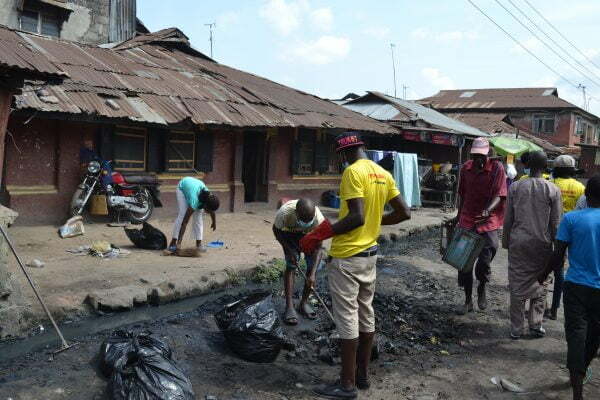 In 2016, YEDI initiated a Clean-up-to-end-malaria exercise in a community in Lagos. 8. According to UNICEF, the Long Lasting Insecticide Nets (LLINs) have proven to be more efficient than conventional Insecticide Treated Nets (ITNs) because they do not need re-treatment and have a lifespan of 3 to 5 years. In commemoration of World Malaria Day 2016, YEDI gave out about 500 LLINs, many thanks to ExxonMobil. It has become an annual event since 2012, with over 300 given in 2017. 9. When 230 mothers/caregivers were interviewed in a study, results showed that though most of them know about LLINs, not many use one regularly and some don’t use one at all, as they don’t appreciate its usefulness. This is evidenced by the fact that many of those not using LLINs have no reason for non-use. 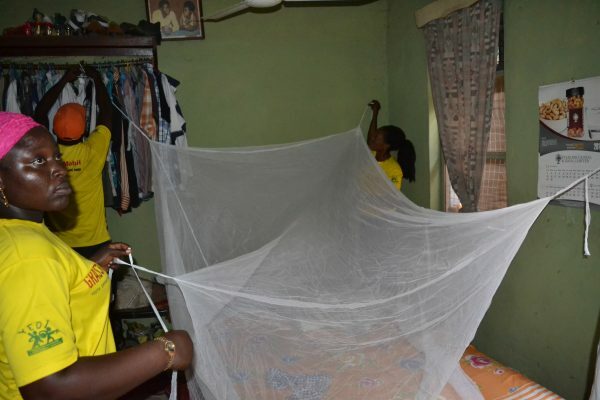 YEDI has embarked on home visits and bed net demos–with the objective of making homeowners appreciate the importance of LLIN and demonstrating to them how to properly hang it. 10. 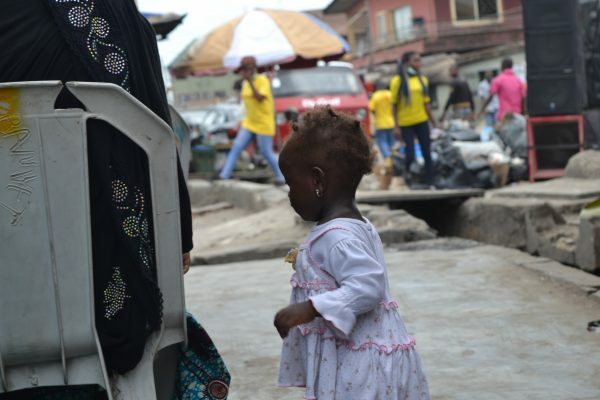 Although there are policies that recommend parasitological testing before treatment for malaria, presumptive treatment remains widespread in Nigeria. Many Nigerians obtain antimalarial drugs from formal and informal medicine shops at the instance of familiar symptoms. YEDI’s SKILLZ programming emphasizes testing before treatment as well as continued medication even when the symptoms are gone.